since dinner actually stands for any meal that occurs from noon to nighttime. In addition to this, the meaning of the word can also vary depending on the culture, because some people take dinner as any meal of any size eaten at any time of the day. 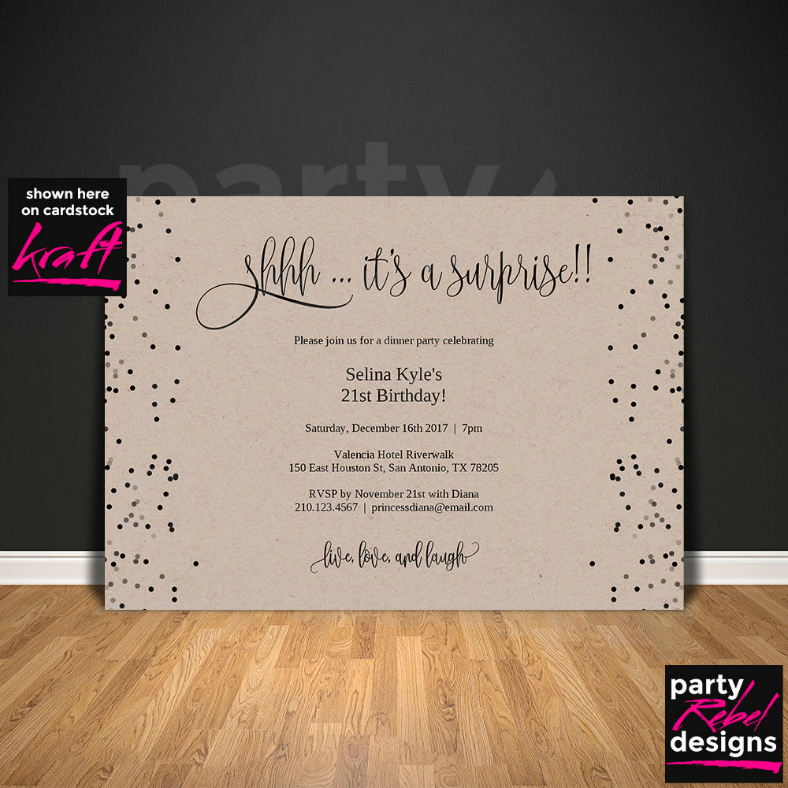 You may also see Engagement Invitation Designs. During the 20th century in the Mid-Western and Southern part of America where farming communities resided, there was an evident distinction between the two words. Today, however, in almost all parts of the world especially the Western countries, dinner has replaced supper as the standard term to refer to the evening meal, regardless of the amount and type of food prepared. 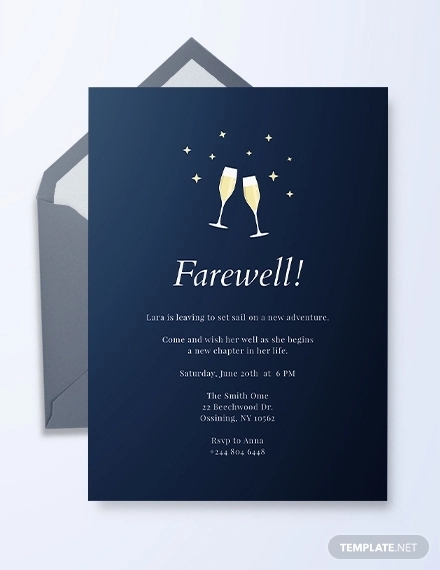 You may also see Ceremony Invitation Templates. Furthermore, a dinner can also mean a formal gathering that involves food, and this is most commonly referred to as a dinner party. 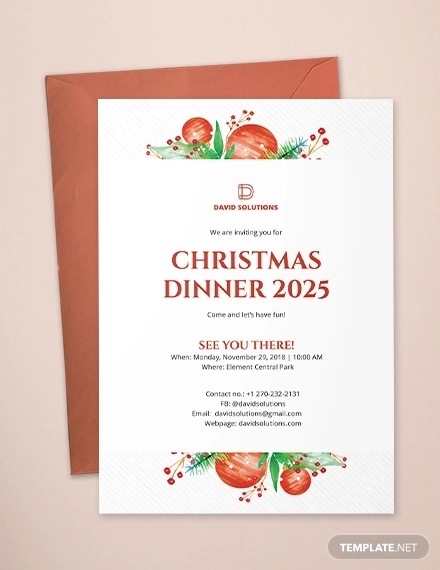 Dinner parties usually take place during special occasions, holidays, or other events such as Thanksgiving invitation celebrations or wedding rehearsals. 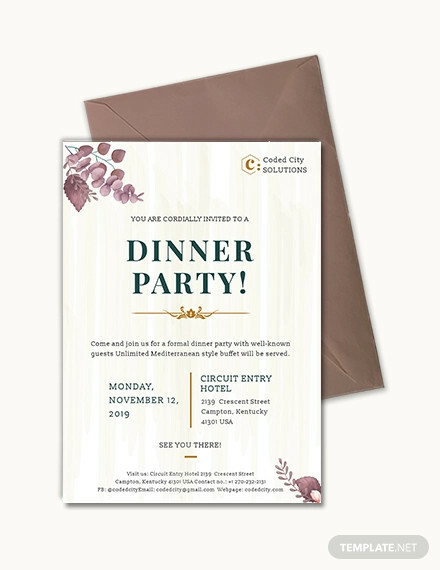 If you are planning on hosting a dinner event and you are in need of invitations, check out the gallery below for eighteen beautifully crafted dinner invitation designs that you can download. 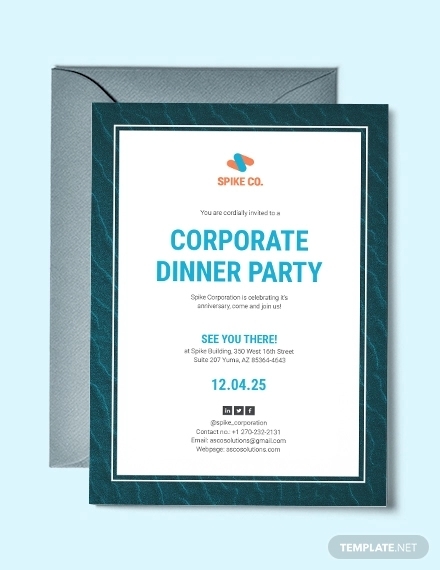 Let us start the ball rolling with this truly wonderful formal invitation design, which somehow resembles an overhead view of what guests have before them on a dinner table. 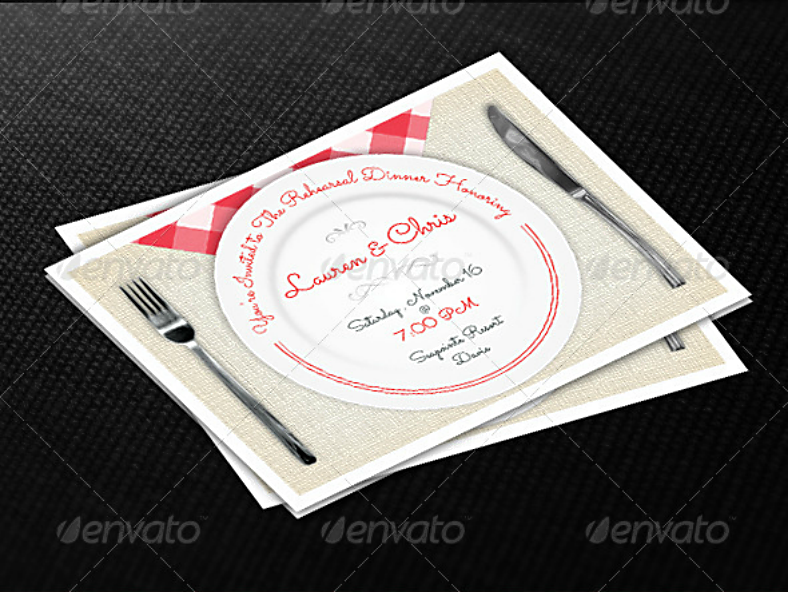 What that means is that the elements of this design include a plate with a fork and a knife on its sides. 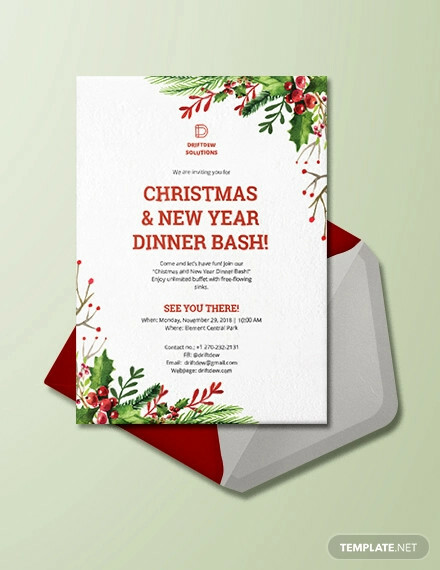 Over the surface of the plate are where the details of the event are written, and the typeface used for writing these details work appropriately for the type of event that it is used for. 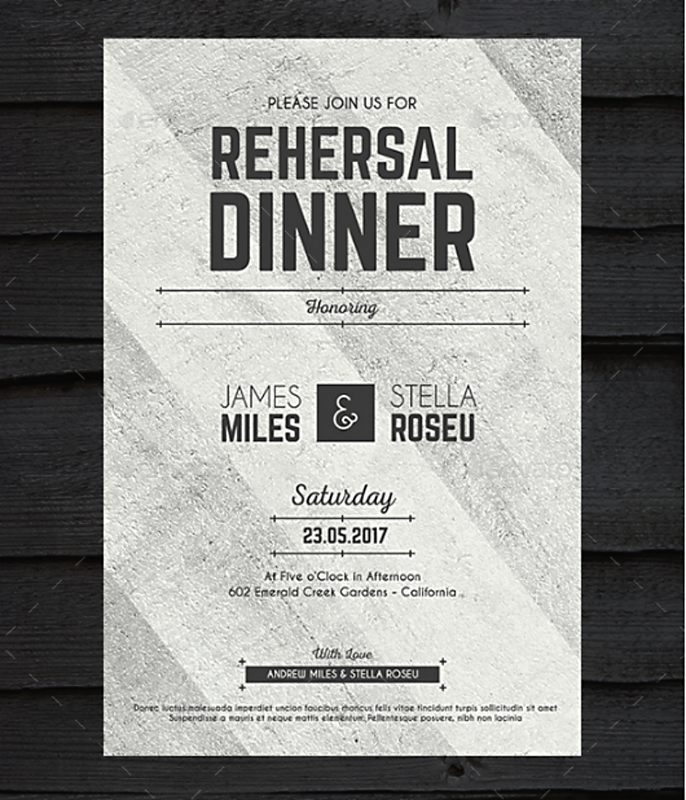 Here is another beautifully crafted formal invitation design that, once again, is intended for wedding rehearsals. 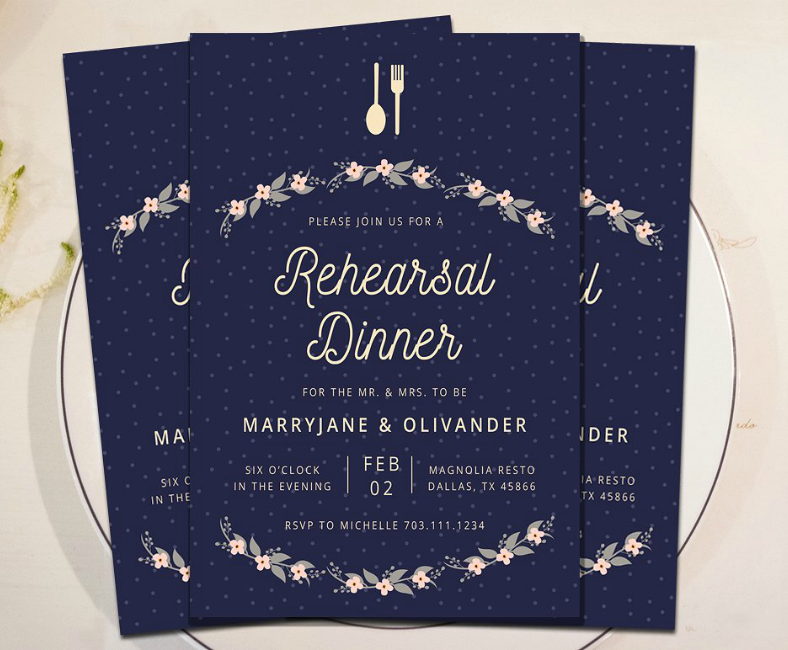 This one, however, may not follow the same suit as the theme for the actual wedding invitations, and can even go for a more casual look rather than formal. 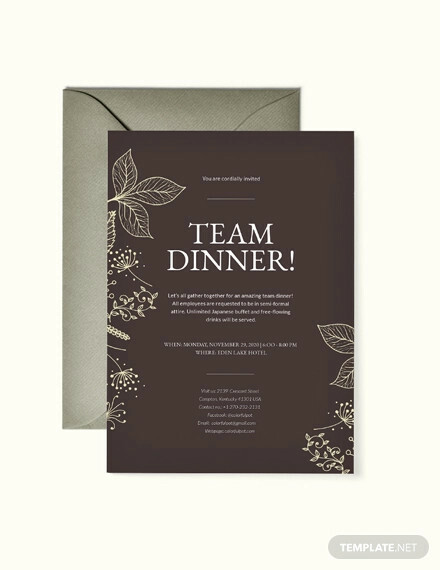 If you ask us, we will probably never run out of wedding rehearsal dinner invitation designs, and for the right reasons. 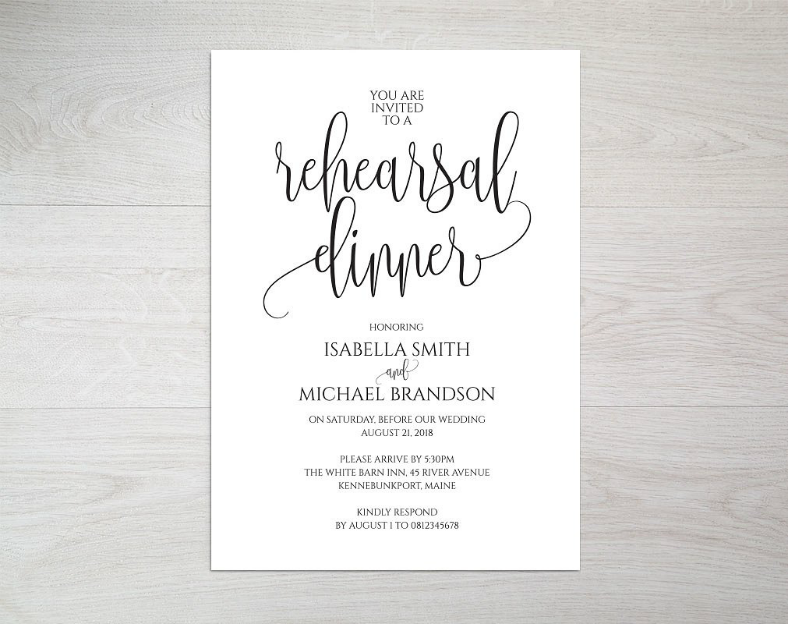 Just because these are simply wedding rehearsals, it doesn’t mean that they shouldn’t be taken seriously. As much as we want the wedding itself to be perfect, the rehearsal should be perfect as well, or at least close to perfection. 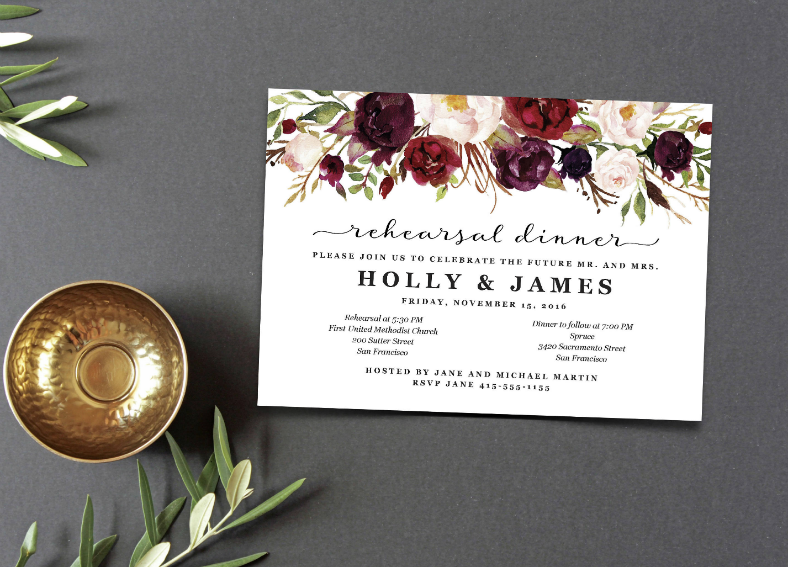 And this is why we are providing you with a lot of rehearsal wedding invitation designs so you can have enough to choose from. We already know that the Christmas season has just ended, and many people—most especially couples—are looking forward to the occasion that comes after, which is Valentine’s Day. 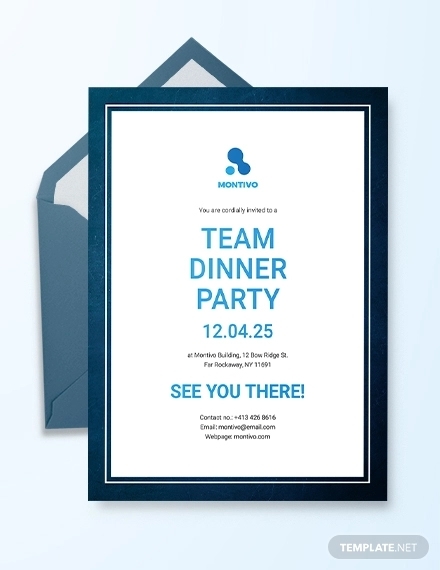 During this day, people commonly celebrate it by having dinner and quality time at restaurants. 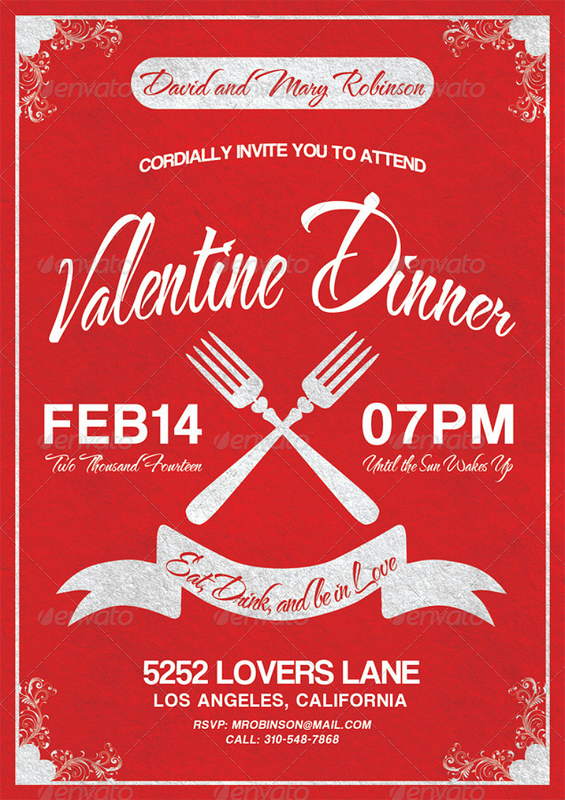 On the other hand, restaurants hold Valentine’s Day-themed dinner events to provide guests with a romantic ambiance appropriate for the occasion. 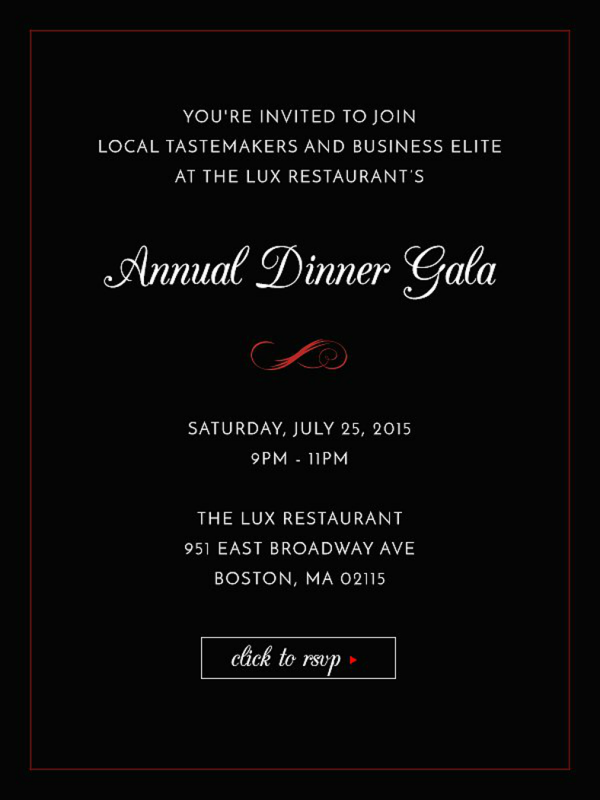 For this dinner event invitation design, it features a red-and-white color scheme. 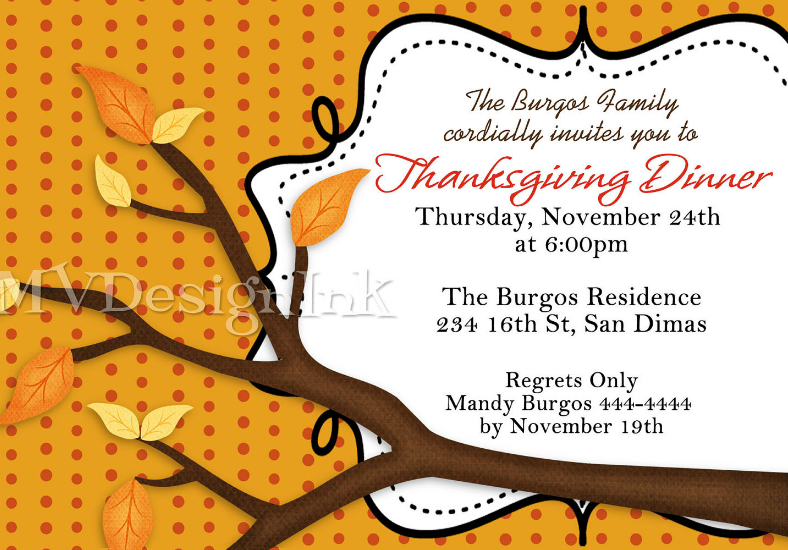 You may also see Family Reunion Invitation Designs. 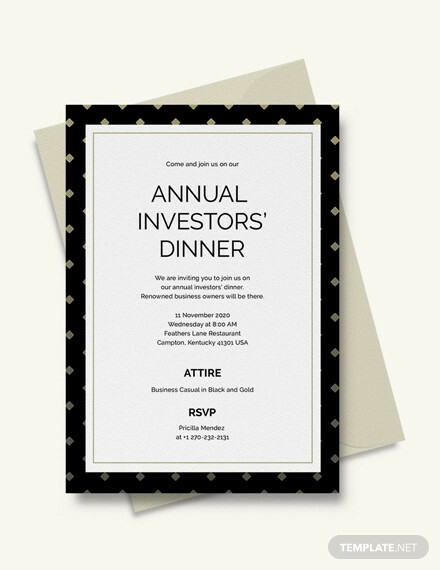 Now what did we say about us not running out of rehearsal dinner invitation Designs? 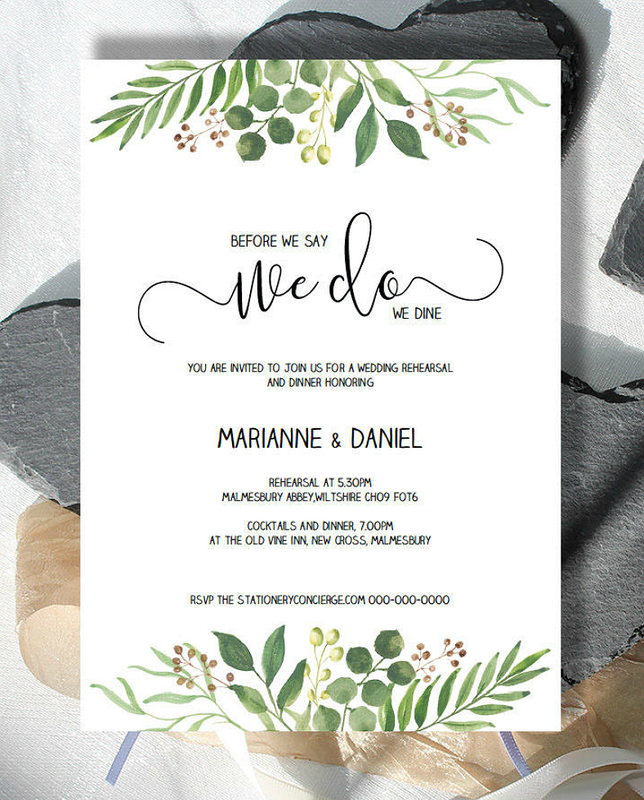 Just so you know, let me tell you that most invitation designs in this collection are probably for wedding rehearsal dinner events. For this design though, it places more emphasis on the use of photorealistic elements rather than illustration design, and it does create a more lifelike appearance to the design. As seen from the image above, you have the choice between two colors for the awesome background. 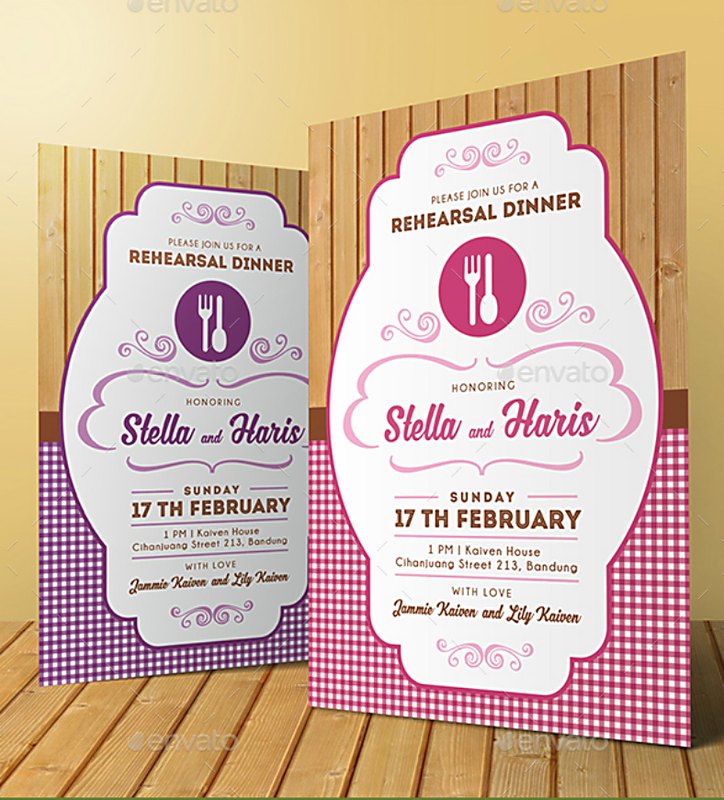 However, if none of the two fit appropriately to the motif of your dinner event menu, you may still be allowed to customize the color hue yourself to make it more suitable. 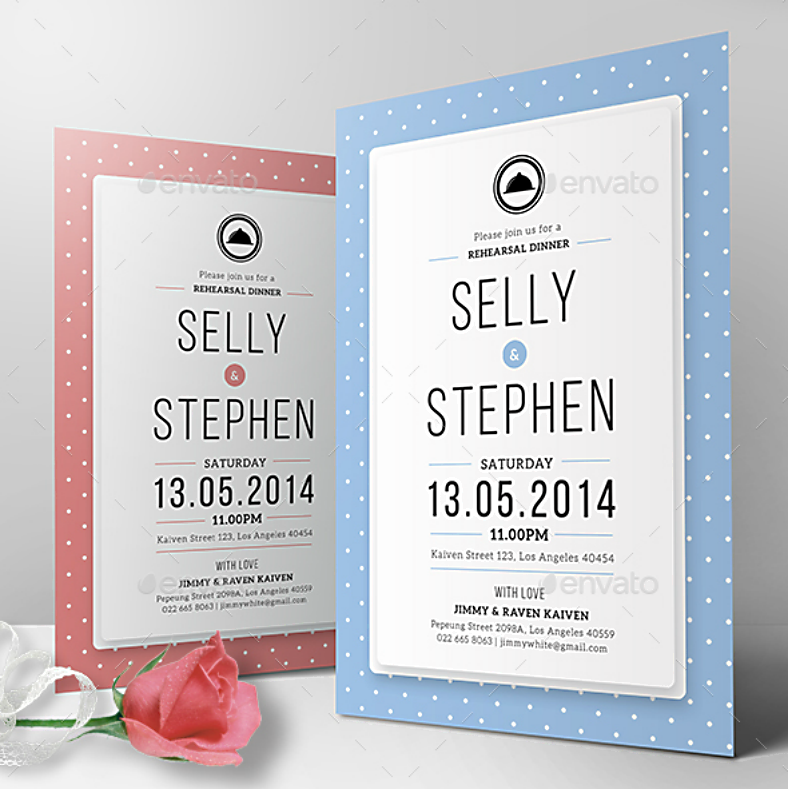 You may also see Anniversary Invitation Ideas. 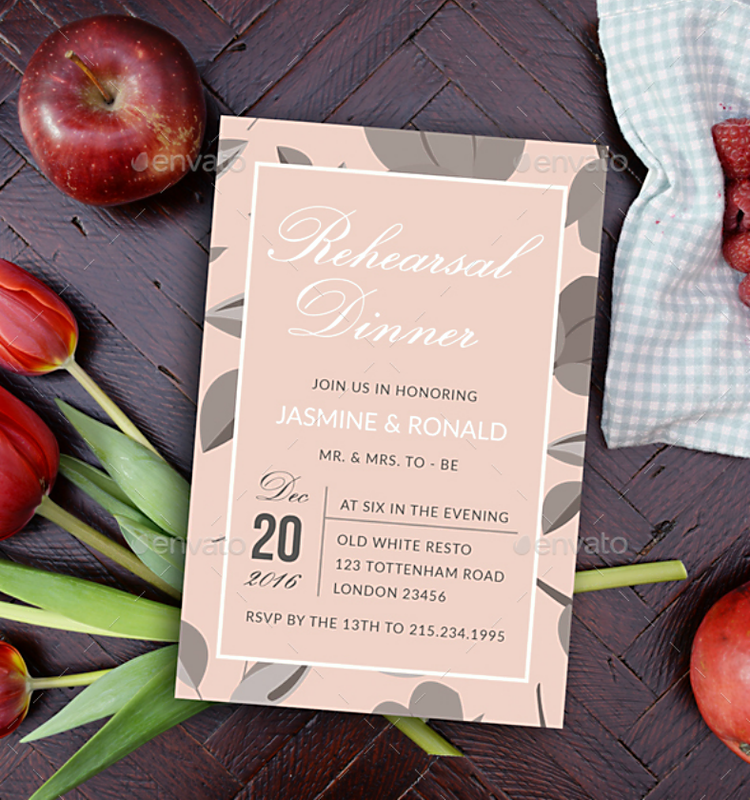 Previously, we have shown you a rehearsal dinner invitation design that made use of photorealistic elements, now we are going to show you one that features a rather comical and colorful graphic illustrations of these elements. 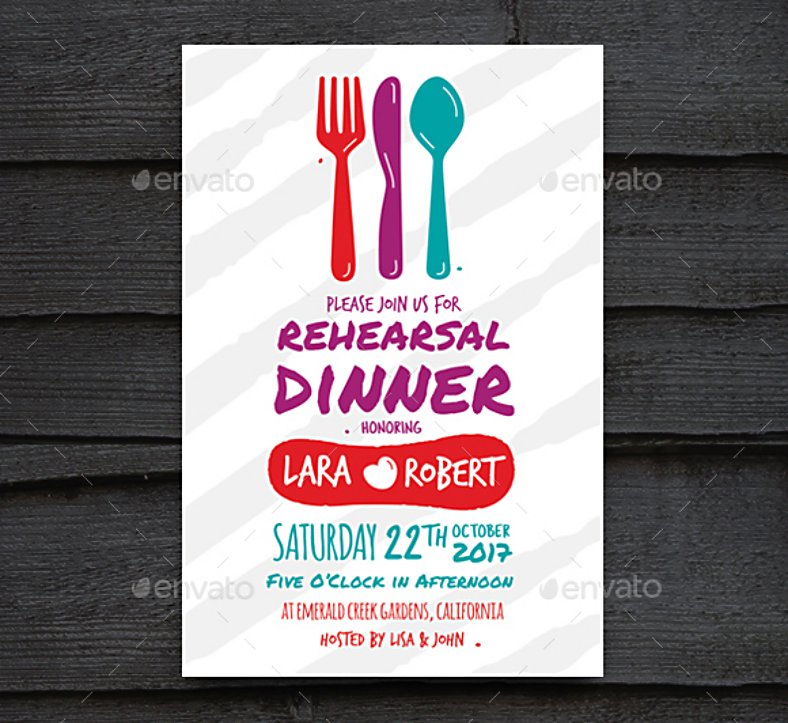 For this design, the elements and the text appear to be hand-drawn and handwritten, respectively, and thanks to its use of multiple vibrant colors, the entirety of the design looks visually appealing. 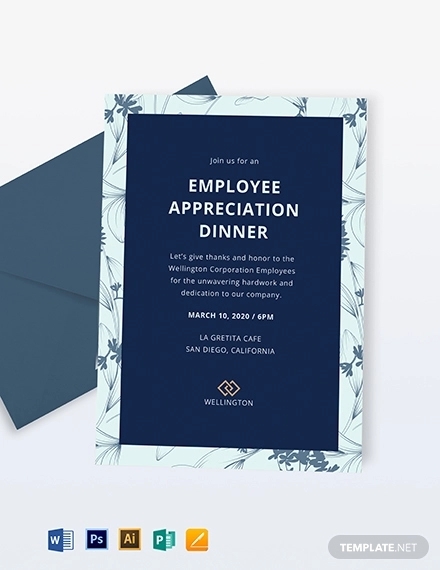 For its background, it bears a very minimalist appearance by taking advantage of a lot of white space, but to keep the design from looking dull, there are subtle details added to the background image. 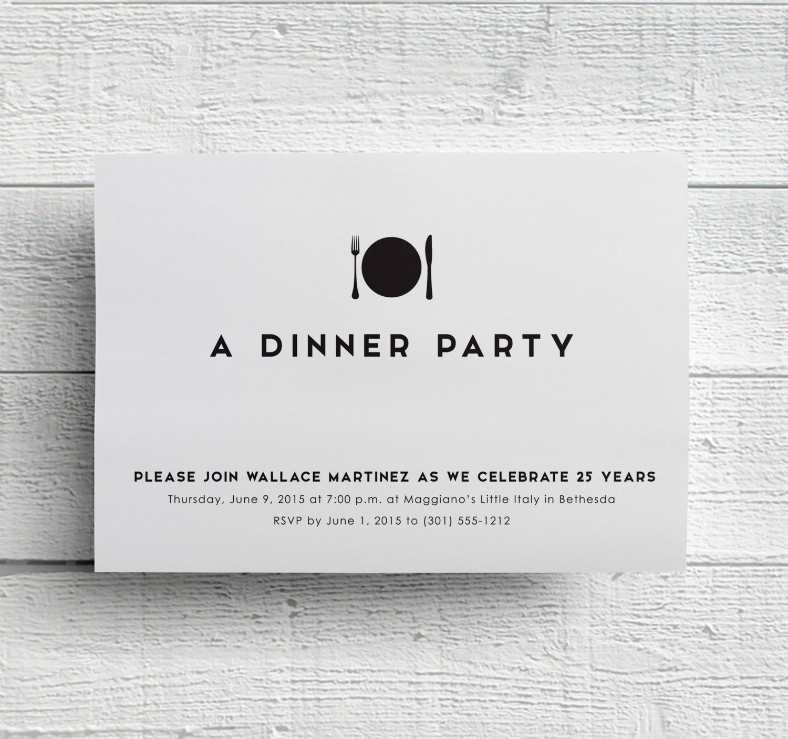 You may also see Anniversary Invitation Designs. When we say thanksgiving dinner, it does not only refer to a dinner event celebrated during Thanksgiving day, an occasion observed in the United States and also in Canada. 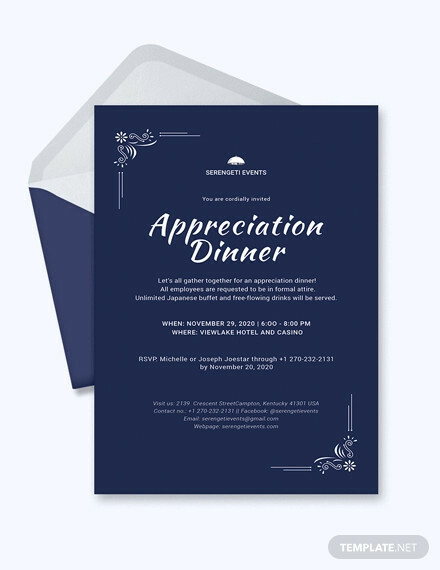 A thanksgiving dinner can simply refer to a dinner event celebrated to express gratitude for something. This could come after a successful occurrence, such as a culmination of an activity, a graduation, or also a success in a business. 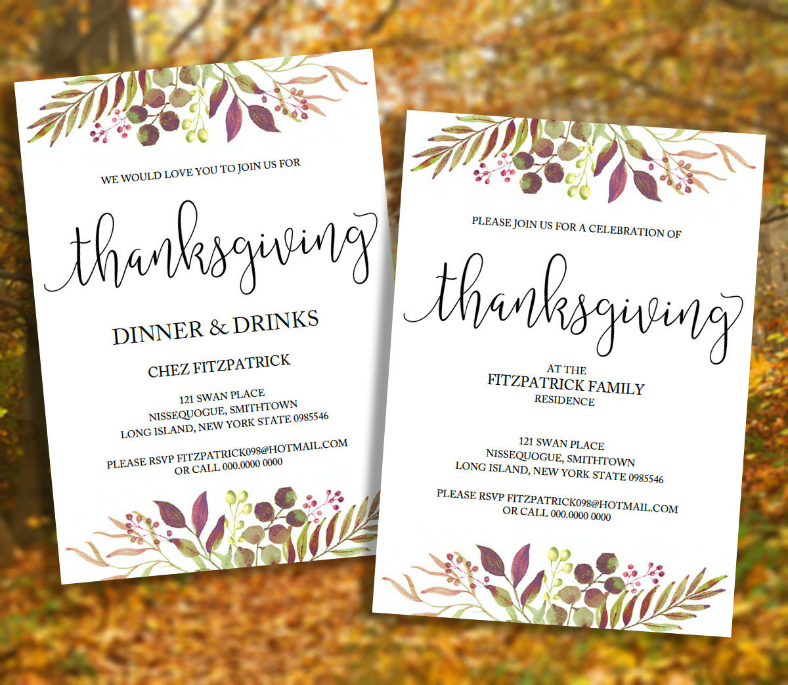 If you are planning on hosting a dinner event to express thanks and appreciation for something, we would like to recommend this beautiful and artistic thanksgiving invitation design. 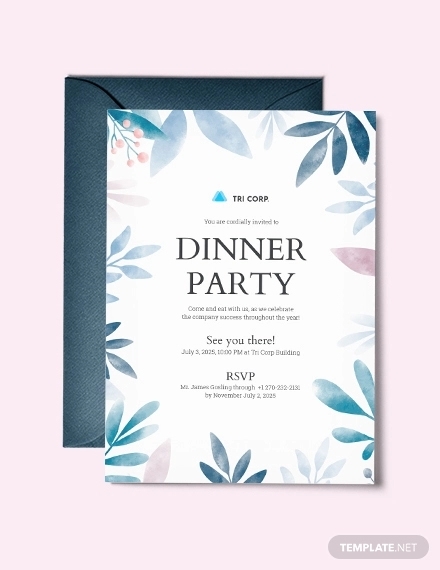 Check out this awesome watercolor-inspired dinner party invitation design that comes in multiple colors. 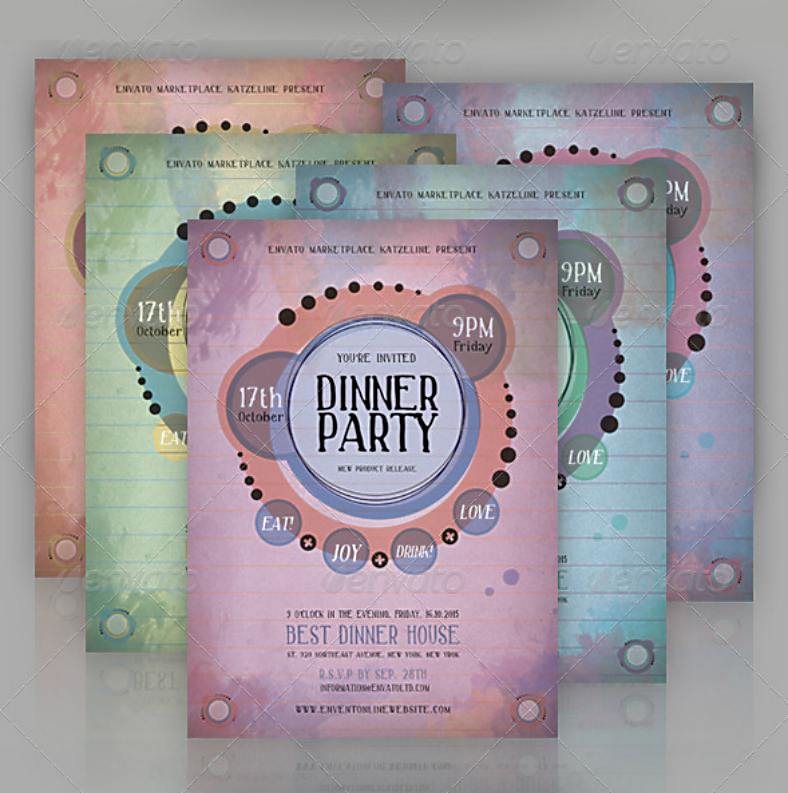 Most elements on this design come in circles, and these elements are where the details regarding the party are written. 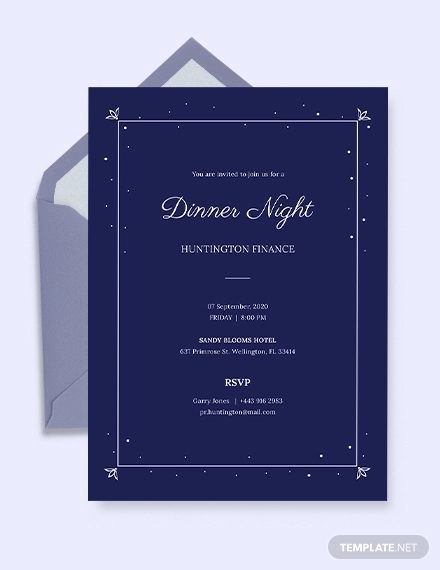 Decide on whether you intend on holding a formal type of dinner event, or if you would rather keep the event casual. 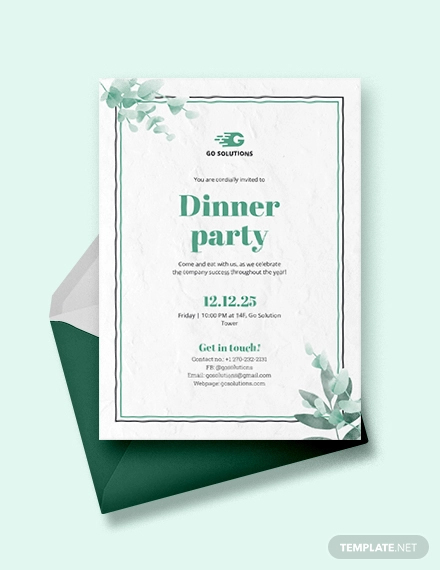 These dinner invitation designs were chosen from among hundreds of the best ones on the Internet, and from multiple highly reliable websites that offer more than just designs for invitation cards. 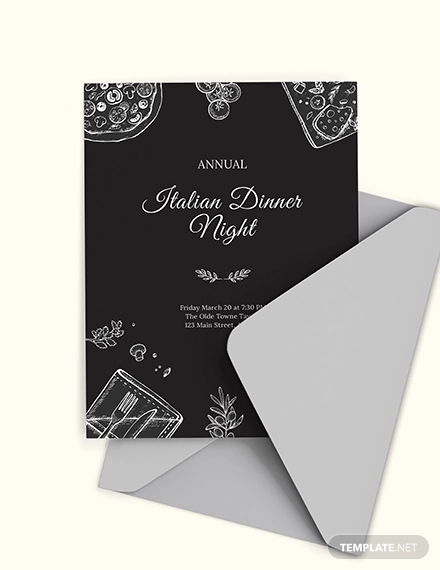 These dinner invitation designs were created by highly talented and skillful graphic artists from all over the world, both amateur and experienced. 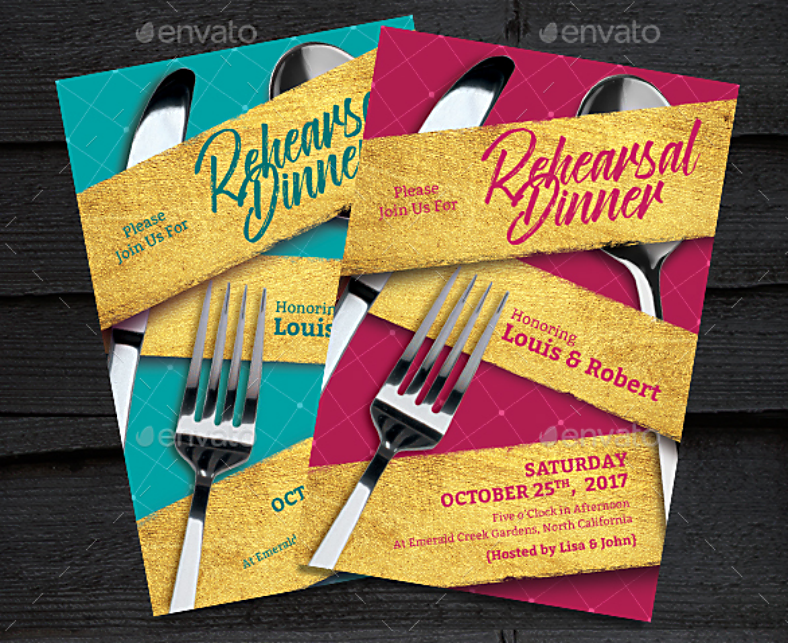 These dinner invitation designs were made using vector graphics, which means that they can be fully and easily edited as long as you are using the appropriate graphics editing software.